A 33-year old businesswoman was shot dead and her husband and two others injured by heavily armed gunmen as they sat in Mambo’s Beer Garden on Barr Street, Kitty, shortly after midnight yesterday. Shelliza Basir-Lall, also called Shelly Lall of Charity, Essequibo, was reportedly shot at least four times as she sat with her husband and about six other people at a table. She died while receiving treatment at the Balwant Singh Hospital. 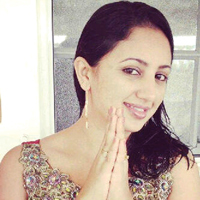 Her husband, Raymond Lall, 36, who runs a trucking company and operates a speedboat service, was shot five times. He underwent surgery at a private hospital in the city. Sources said that he was shot in the leg and his injuries are not life threatening. Two of Lall’s employees were also injured. They were identified as Parmanad Persaud of Mon Repos, ECD and Babatunde Nedd of Parika, West Coast Demerara, who is said to be in a critical condition. An eyewitness recalled seeing at least two gunmen enter the premises and head straight for the table where the couple and others were sitting. Then gunshots erupted, sending patrons diving for cover. “They walk in and go straight to the table…next thing I hear was gunshots,” the eyewitness said. 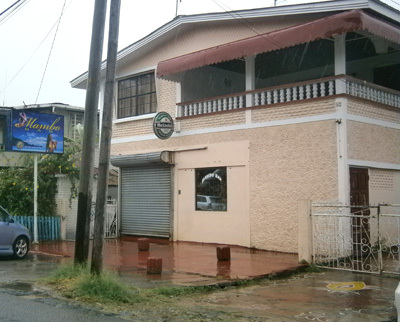 After the gunfire ceased, the patron saw four persons lying on the floor. He said that woman appeared to be motionless while her husband was moaning. The eyewitness was unable to say whether the gunmen fled on foot or by vehicle. “I ain’t get to see what they escape with. I was too busy trying to get to safety,” the man said. The police were summoned and the injured were taken to hospital, where Ms. Lall succumbed shortly after. Police are checking for possible motives for the execution-style attack. Commissioner of Police Leroy Brumell revealed that investigators have detained a 19-year-old Sophia resident, who was nabbed at a roadblock with a bag containing a sub-machine gun and ten 9mm rounds. The Commissioner said that investigators who scoured the scene also recovered 14 spent shells along with 11 warheads which could have been used in a 9mm sub-machine gun. But Brumell could not say for certain that the businessman and his wife were the intended targets. “They were at least six other people at the table, so I can’t say for sure that they were the target,” Brumell said. This newspaper was also told that the owner of the hangout spot was arrested since he was not licenced to sell alcohol. A close relative of the Lalls told Kaieteur News that the couple would normally travel to Georgetown to conduct business. The relative explained that the two would spend about a day or less in Georgetown before travelling back to Essequibo. “They would not spend long in Georgetown …like a day or less, so whoever shot them had to know their whereabouts,” the relative stated. The relative said that they could not think of a reason why anyone would want to harm the couple. Relatives of Persaud said that they were informed of the shooting by a relative of the dead woman. This latest hit adds to the increasingly worrying spectre of execution style killings so far this year, creating fear that the country is in the midst of a crime wave.